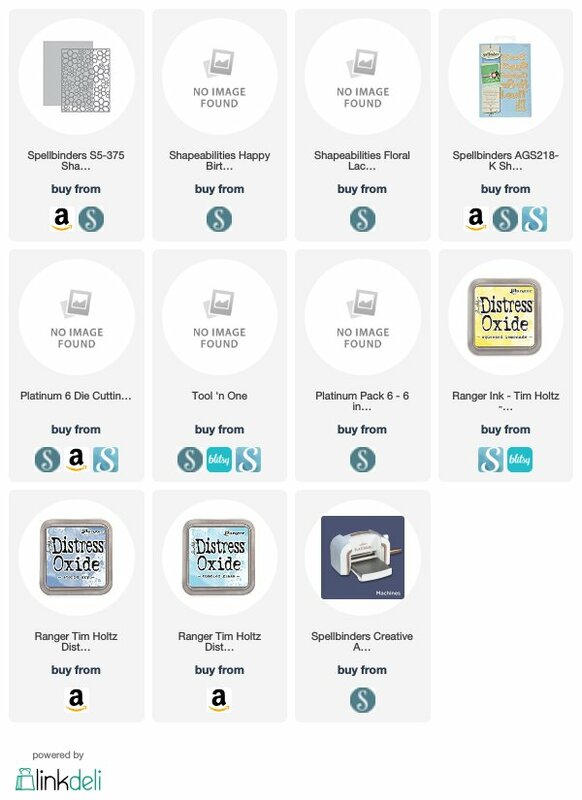 To celebrate this release, Spellbinders is giving away a $50 gift certificate to a lucky blog reader – selected from the comments across all of the blogs in the hop. Giveaway closes on Sunday, April 14th 11:59 pm EDT. Winners will be announced in our blog hop post the following Monday. So be sure and leave a comment on each of the blogs, this increases your chance to win!! Just a Note**The winner is responsible for shipping cost, duties, and taxes. There will be prizes for folks that link a Halloween project to our linky tool (thank you House-Mouse and Friends Challenge blog for the use of the tool!). Please note all entries MUST have a U.S. Mailing address to win. The only limitations on the projects is that it must be family-friendly. 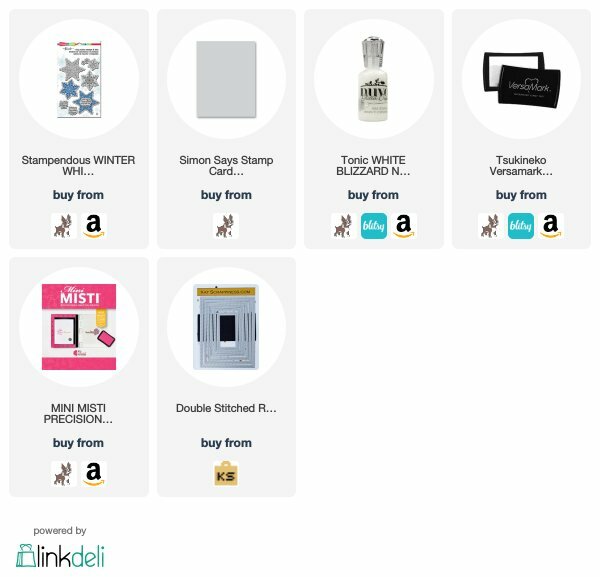 Of course we’d love it if you use Stampendous products on there somewhere, but it’s not required, and there is no purchase required to enter or win. However, your email and name will be collected if collected if you enter. Hello Crafty Friends! Today I want to announce the Winner of the $25 Gift Certificate for the Spellbinders Special Moments & Inked Messages Blog Hop Giveaway for my Blog! Before I announce, I want to say Thank you all so so much for joining me:) Your comments were AWESOME, all 88 of them!!!!!! I appreciate everyone and all the kindness that was shown! And now the winner is… drum roll please………. Don’t Forget to Check out the Spellbinders Blog too:) To celebrate this release, Spellbinders is giving away a $50 gift certificate to a lucky winner. If you left a comment on the Spellbinders blog hop post by Sunday, August 19th 11:59 pm EDT you were entered for a chance to win. The winner was announced in the blog hop post Tuesday, Aug 22, 2018. Note: Winner is responsible for shipping cost, duties and taxes. I had so much fun and I hope you all did too!! To celebrate this release, Spellbinders is giving away a $50 gift certificate to a lucky winner. Please leave a comment over on the Spellbinders blog by Sunday, August 19th 11:59 pm EDT for a chance to win. The winner will be announced in the Spellbinders Blog Hop post the following Tuesday 8/21/2018. Winner is responsible for shipping cost, duties and taxes. Hello Crafty Friends! Today I want to announce the Winner of the $25 Gift Certificate for the Spellbinders Cut & Emboss Folders Blog Hop Giveaway for my Blog! Before I announce, I want to say Thank you all so so much for joining me:) Your comments were AWESOME, all 147 of them!!!!!! I appreciate everyone and all the kindness that was shown! And now the winner is… drum roll please………. Don’t Forget to Check out the Spellbinders Blog too:) To celebrate this release, Spellbinders is giving away a $50 gift certificate to a lucky winner. If you left a comment on the Spellbinders blog hop post by Sunday, July 29th 11:59 pm EDT you were entered for a chance to win. The winner will be announced in the blog hop post today Monday, July 30th. Note: Winner is responsible for shipping cost, duties and taxes. Happy Thursday to You! Thanks for stopping by! Today for my Happy Day Series-Using What’s In Our Stash I am Collaborating with Karen from KWarner Studio. We work together on the Love from Lizi Design Team and thought it would be fun to use the same stamp set and create different cards. 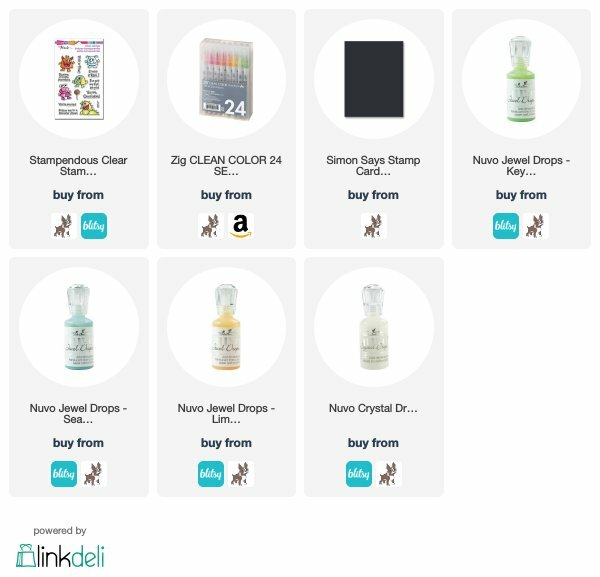 As a Bonus I had an Extra stamp set and had been wanting to do a giveaway, this was the perfect opportunity:) Whooo Hooo! The Rules for the Giveaway are Below! You can see how I created this card on my YouTube Channel HERE. Don’t forget to leave a comment and Check out KWarnerstudio YouTube Channel Check It Out Here to see what Karen made using the same stamp set!! Grab your coffee friends and lets get to crafting!! You must be a Subscriber to my YouTube Channel. AND in the comment section of my YouTube Tutorial for this card (Click Here). Easy Peasy!! Have a Wonderful & Crafty Day! Hugs to you! !